These friends were having a New Year’s Eve party so I thought it would be neat if we made something from the book. 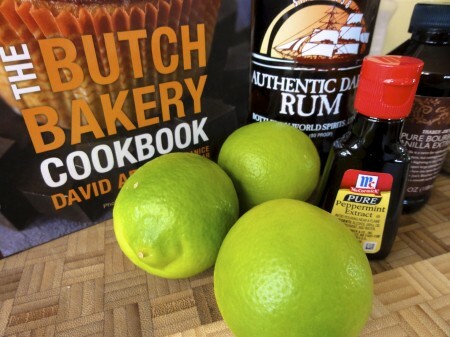 I went through it and found the Mojito: rum-soaked lime cupcake with muddled minty lime cream cheese frosting. We happened to have lots of limes on hand, so this was perfect. They were pretty straightforward to make, and tasted super yummy. 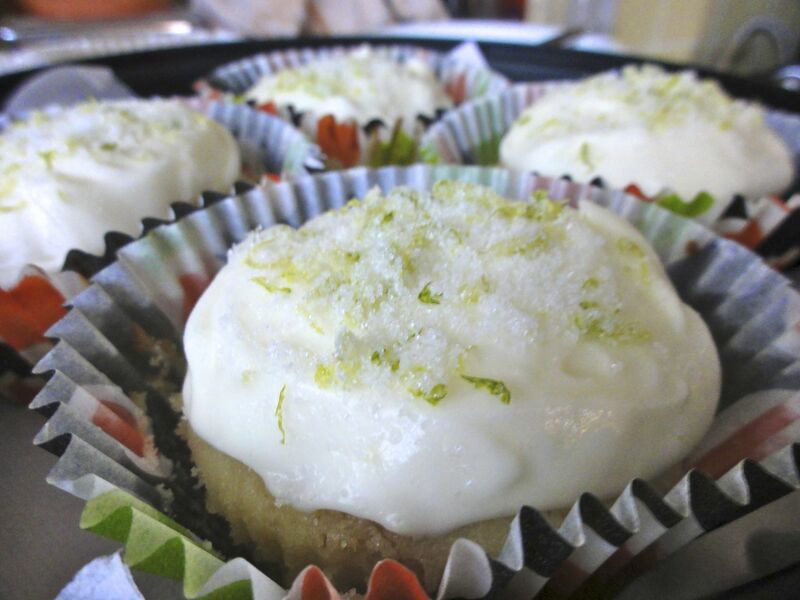 There is lime juice and lime zest in the cupcake, and lime zest in the frosting and sprinkled on top, so yes, it is quite tart. And lots of sugar, so sweet. The only strange thing was the yield: the recipe is supposed to make twelve jumbo cupcakes, but I only got ten, with the cups filled about only halfway with batter (the recipe actually calls for filling them two-thirds full). There was a lot of frosting left over, so the other day I made another batch of the cupcakes. This time I started filling the cups two-thirds full and ended up with only six cupcakes. They were big and great, but still, only six. In any case, they were a hit at the party, and we look forward to going through the book and trying them all! Yum. I may have to investigate that book. And your photos are great! Thanks! Yeah, do check out the book. Lots of neat recipes, and speaking of photos, the ones in the book are quite well done.